If you wish to contact me, please use this contact form. Hello and welcome! I’m Rick Kirschner, and this is my personal website. Typically, I'm defined by what I do or what I've done. You know, bestselling author, speaker, trainer and coach, Naturopathic Physician, and so on. Using the tabs above, you can access some personal music, along with my original humor site from the 1990s. Note: If you don't get the old jokes, no problem, because...well, they're old. In that case, just have a laugh at what I used to think was funny! My daughter Aden Nepom has taken over the business, and is available for speaking and training bookings. You can contact her through TheArtOfChange.com website. I hope you enjoy this collection of my early web stuff. What follows below is a third person biographical bit, copied and pasted from elsewhere. 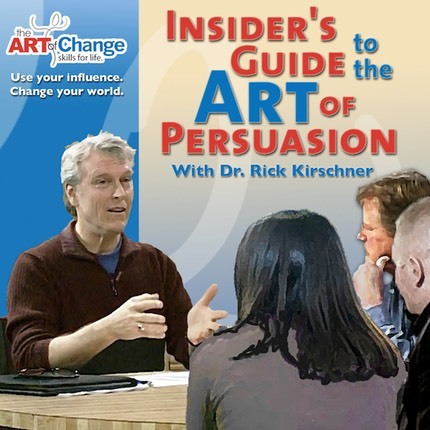 Rick Kirschner is a Naturopathic physician, a communications expert, a bestselling author, business trainer, internationally renowned speaker and executive coach. He has presented to and consulted with many of the world's best known organizations, including Heineken, NASA, Providence Health Systems, Starbucks, Texas Instruments and numerous others. He is the author of the comprehensive communication training audio and book Insider's Guide To The Art Of Persuasion, and the Hyperion book, How To Click With People: The Secret To Better Relationships In Business And In Life, along with other bestselling books including the coauthored work and international bestseller Dealing With People You Can't Stand: How To Bring Out The Best In People At Their Worst, released as a third revised edition in 2012, with over 2 million copies sold. Now essentially retired, Dr. Kirschner is a former faculty member with the Institute for Management Studies, and thought leader with Athena Online and CanDoGo learning systems. Throughout his career, Dr. Kirschner offered his ideas and strategies to increase influence and improve persuasive interactions, in service to a better, not bitter, world.